Green infrastructure is evolving all the time, and one of the latest trends is an installation known as a green facade hybrid. Green facade hybrids are a combination of green walls and green facades. Green walls and green facades have some similarities to each other, which means they can work extremely well in tandem. A green wall or vertical garden usually comprises herbaceous or shrub-like containerised plants that are attached to a wall. Green walls are usually denser than facades, and involve a greater number of plants. 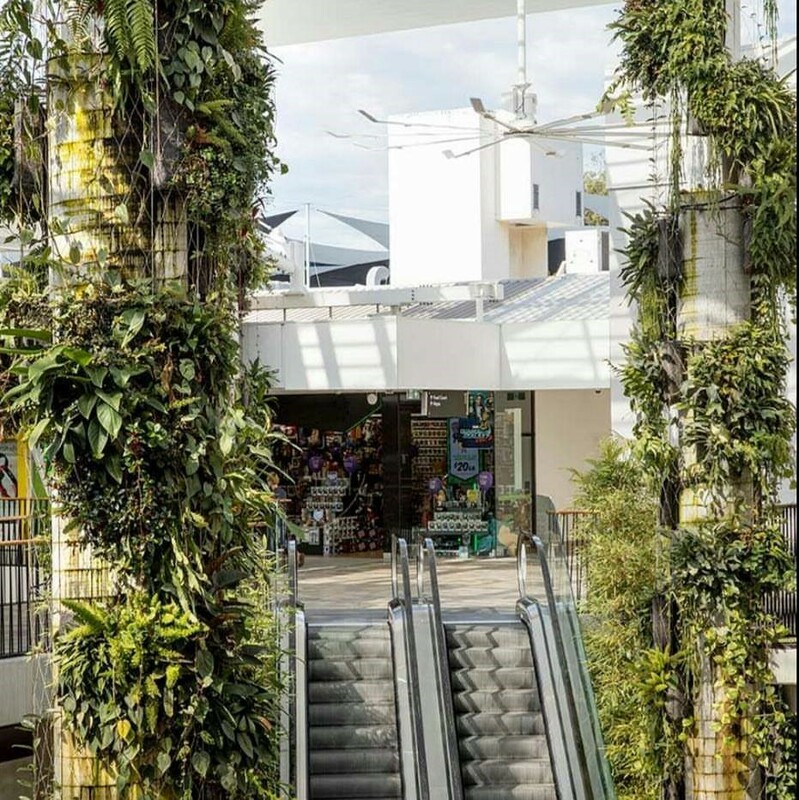 A green facade is made up of climbing plants that grow on a structure comprised of steel columns and wire rope or mesh. Both systems provide shading, cooling, improved aesthetics and reduced heat-island effect. Installing a green hybrid system is one way to create a living structure that combines the benefits of both green walls and facades in one area. Being able to make an instant impact while allowing for increased and sustainable growth over time. Offering a very naturalistic appearance. Lower maintenance than for a full green wall. Building a hybrid facade might involve installing a mix of panels and climbers for example, providing a wider range of plants and effects than one type of system alone can. Or it might involve a green wall approach at lower levels, and a facade higher up to allow filtered light into the building. This is a truly innovative approach to vertical green living systems that beautifies a built environment, while providing the benefits of both living green wall and green facade systems. Tensile’s flexible approach in creating living wall systems allows us to develop customised solutions for our clients. If you have a green project idea in mind for a building, feel free to contact us for a discussion.